These are short videos created by Library staff to help you use a variety of services, including help using specific online databases. To view the videos on this page in full screen, click on full screen in the bottom right hand corner. This video will demonstrate how to use the library catalogue to search for a specific print book or e-book. Say you were looking for this book, Doing your research project: a guide for first time researchers. Type the title into the search box and click on search. The results will be listed as shown here and be aware that there may be different editions and different formats of the title available. If it says book next to the listing then this refers to the print copy of the book, which you will be able to find in the library or reserve if it is on loan or at another site library. If it says eBook next to the listing this refers to the electronic version of the book which you can read online. Make sure that you select the correct edition. You should always look for the most recent edition. We want the sixth edition published in 2014 so to find out where it is in the library either click on either the title or the check availability button. This screen gives you more information about the book. Click on expand all to see which libraries have the book and to find out the shelf mark which enables you to locate it on the shelf. Alternatively, click on the arrow next to your desired library site. Check that the book is available. If all of the copies were out on loan like these, you could place a reservation by clicking here. There is 1 copy of this book available, You will need to make a note of the shelf mark to find it on the shelf. As mentioned, if the item is available, and you have made a note of the shelf mark and filing suffix, you can use these to locate the item in the library. Shelf marks are displayed on the end of the shelving bays to guide you. If you want to access the electronic version of the book then you will need to find the most up to date eBook edition. To access the eBook, click on the title or check availability. Then click on click here to access the e-resource. Remember that you will need to log in with your MMU ID and password to access the eBook. For more help and information, please ask a member of staff in the library or visit the library web site. 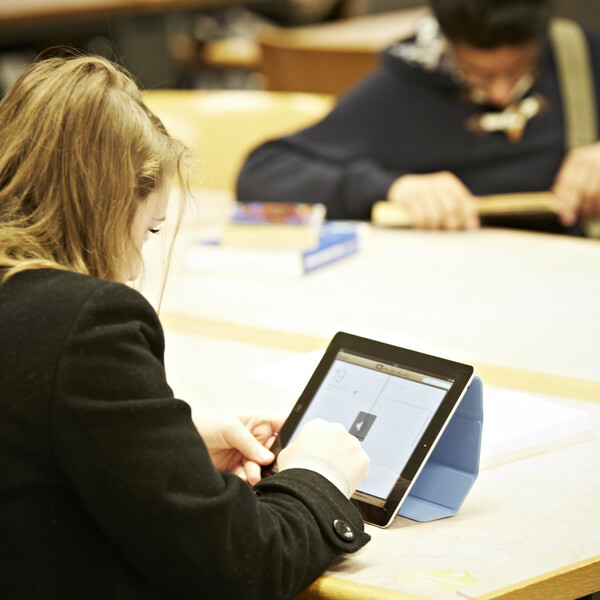 This video will demonstrate how to access MMU library’s collection of eBooks. eBooks are digital versions of the books you can find on the library shelves. You can read MMU’s eBooks on most devices, including PC’s, tablets, and smart phones. Most eBooks allow simultaneous multi-user access, so the text should always be available for you to read. Whatever your subject area, you can search MMU’s eBook collection using Library Search from the Library website, and you can access the full text from the results page. Before you enter your keywords, click on books/eBooks to narrow down your search. In this example, we will search for eBooks about “critical thinking”. We narrowed our search to books and eBooks but need to ensure our results only include eBooks and not print books. Use the ‘Refine your search’ options on the left-hand side of the results page. Select full text online and double check that book/eBook is selected. The results page will automatically update. Looking down the new list of results, we can see that they are all eBooks with full text online. I am interested in the 3rd ebook listed ‘creativity and critical thinking’.To access the eBook immediately, click on the title or, for more information about the eBook click on the play icon next to it. Then, click on read online. If you haven’t done so previously, you will be asked to log in using your network ID and your password. Click on recently viewed which gives you convenient access to eBooks that you have used before. Dawsonera offers two ways of accessing the text of an eBook. Firstly, you have the option to download the eBook. You can then read it without an internet connection. However, please note that the eBook will disappear after 24 hours, and you will not be able to download it again. Alternatively, you can read the eBook online and this is the option we will choose in this example. You can scroll through all the pages of the eBook using the buttons above the text. You can also use the contents section to the left of the text to click through to any section of the eBook. You have the option to search within the text by clicking the search tab and entering your term into the box. This will bring back a list of all the pages where your term occurs and you simply click the page number to be taken directly to that page. Your search term will be highlighted. The note will be displayed on the left hand side. Dawsonera saves any notes you make, so they will be there the next time you log in through MMU. For more help and information, please ask a member of staff in the Library or visit the Library website. This video will demonstrate how to find and use electronic journals, also known as e-journals. Once you are familiar with e-journals you will find that they are an easily accessed source of quality information and up-to-date research. To check if a particular journal is available electronically through Manchester Met, from the homepage of the library website click on the ejournals A-Z link. You can browse ejournals, by title, by clicking on the A-Z letters here or just type in the journal title here. In this example, you’re looking for a journal called ‘organizational research methods’, simply type this in to the search box, and click search. If you’re not sure of the exact journal title, you can change the search settings here and add keywords, or parts of the title that you do know. Your results will contain details of, and links to, one or possibly more databases where you can access the journal. In this case, we can accessorganizational research methods via SAGE. Pay particular attention to the date range. Click on the name of the database, SAGE Management, to access the journal. You will then be redirected to Manchester Met Library’s log in page where you will need to enter your student ID and password in order to access electronic resources. You will then leave the Manchester Met Library website and be taken through to the journal homepage. Here you can either browse through the archive in All Issues, or run keyword searches for articles of interest. For more help and information please ask a member of staff in the Library or visit the Library website. This video is designed to give you tips for searching Manchester Metropolitan University Library's resources more effectively. You should use it in conjunction with individual resource videos. If we take this example question: Plagiarism is becoming more common in higher education. Discuss. Firstly, identify the key search terms within the question: In this example, the key terms are Plagiarism and higher education. Then, the easiest way to start searching is to type one of your key terms, for example, plagiarism, into the resource you’re using. Typing in the exact word will only search for the word Plagiarism, it won’t search for related words such as plagiarist and plagiarising. To broaden your search to include the different word endings and spelling variations you should use truncation. By placing an asterisk after the stem of the word, in this case, after the second I in plagiarism, the resource will look for all of the different word endings and spelling variants simultaneously. Please note that whilst an asterisk is the most commonly used truncation symbol, some resources vary. Check the help feature of the resource you are searching, to identify its truncation symbol. We can also use the wildcard. This is where you put an asterisk in place of a particular letter. In this case, we’re able to find, simultaneously, both English and American spellings of particular words. Please note that both the asterisk (*) and question mark (?) are common truncation symbols but there is no standard among all databases. Always check the help option of the particular database you are using. Going back to the example question, we will also see that we need to look for the phrase “higher education”. By simply typing the words higher education into a resource, many databases will look for the terms separately. By placing quotation marks around multiple terms, you are employing phrase searching. This will ensure that the words will be found next to each other, making your search more specific. Remember to only use quotation marks around actual phrases. We can also use AND to further narrow down our search, locating only those articles where ALL of our search terms appear. As you can see on the screen, by using the word AND we will only obtain those articles covered by the shaded circle, ie only those articles that include both of our search terms. Many resources, such as Library Search and Google automatically carry out this function, but not all. Use OR to broaden out a search to find items where any of the keywords appear. In this example every article featuring either of our search terms would appear. These techniques can be applied to most of the Library’s resources. For more help and information, please ask a member of staff in the Library or visit the Library website. This video will explain how to evaluate websites to obtain useful and relevant information for your work. In using internet sources, you need to be careful where you get your information. You cannot reference from an incorrect or unreliable source. Can you see when the website was last updated? Can anybody contribute to the website? Who originally authored the article you are viewing? And you also need to think about the website address. Is it genuine? The website you can see is the homepage for a new drug Havidol. Is this website authentic? Can you see any problems with the homepage? Press pause if you need more time. There is highly improbable information on this web page about interspecies communication. And the last updated date is February 2007. Although the website looks very professional, it is actually a spoof drug. It is important to remember that a websites authenticity cannot be verified by a professional looking interface. Look at this page from the MMU Library wiki. Can you see any mistakes on the webpage about Manchester Metropolitan University? Pause if you need more time. The location of the University has been changed as it says it is in South East England And the central campus is now in Edinburgh. Wikis can be edited by anybody and subsequently the information is not always correct. You should consider carefully before referencing articles from wikipedia or any other wiki as a primary source in your work. You are researching Martin Luther King Jnr and need to find some background information about him. Would you use this website? Press pause for more time. There are a number of indications that this website is biased, and on a closer look you would see it is hosted by Stormfront, a white supremacist organisation. Which of these are trusted domain names? There are strict rules for people wanting to use these domain names. Only people affiliated with these groups can use them. Many people think that .org.uk is for a charity or not for profit organisation. Although this is not necessarily, true. The three highlighted are actually general domain names that can be used by anybody. How to evaluate websites. You need to remember the 3 W’s when evaluating websites. Who? Who published the information and who can edit or contribute to the source? Why? Why is this information being published? When? When was the website last updated? Keep these questions in mind when evaluating the website. This video will demonstrate how to use Google scholar and Find it. Google scholar is a search engine that allows you to find scholarly literature such as dissertations, articles, abstracts and books. Find It! is a service that gives you the opportunity to see if you can access a certain text via Manchester Met Library. It is possible to use Find It! within Google Scholar in order to let you know which of your Scholar search results you might be able to access via Manchester Met Library. Find it! Links will appear next to certain search results. Please note: The presence of a Find It! link by a search result is not always a guarantee that MMU has access to the full text. If you are using Google Scholar on campus, with a university network PC, Find It! has already been activated with Google Scholar. Find It at MMU Library links will appear next to search results if MMU provides access to a specific article. You can access Google Scholar via the URL at the top of the screen. Find it! Is automatically enabled with Google Scholar on MMU PCs. If you would like to use Find It! with Google Scholar off-campus, you have to configure this yourself. From the Google Scholar homepage click on the three horizontal lines at the top of the page, then click on settings. Next, Click on library links. Type Manchester Metropoiltan in the search box, click the search button and then tick MMU in the results list. You can then click save and you will be returned to the Google Scholar homepage. Your PC is now enabled to use Find it! With Google Scholar. If the article has a Find It at MMU Library link to the side of it , you now have the opportunity to use Find It! to see if the text is available via MMU. Click on this link. You will be redirected to the publisher’s website. Click on the PDF link to access the full text of the article. For more help and information please ask a member of staff in the library or visit the library website. Google is by far the most popular search engine on the internet. You are probably familiar with its basic search function. Yet, most of us are unaware of the advanced search function offered by Google. Google’s advanced search allows users to have more control over their searches and in this video; we will look at how it can be used to retrieve better results. For example, when researching a topic like TECHNOLOGY BASED LEARNING you may have trouble finding relevant information. The first thing to do is enter your keywords into the basic search and click enter. By just using these key words, Google has found over 110 million results. Not all of these results may be suitable sources of information to use for an assignment. Therefore, I am going to use the advanced search function to see if I can get results that are more relevant. On a Desktop PC or Laptop, the advanced search link is easily accessible via the box in the top right hand corner with a cog on it. By clicking on this, you will find several search settings including the link to the advanced search. If you are using a mobile or tablet to carry out your search, the way you access the google advanced search menu is slightly different. There is no cog. Instead scroll down to the bottom of the page and you will see the settings button. After clicking on this you will see the advanced search link. Google advanced search allows you to narrow down and refine your search. In this instance, one tool that works particularly well is the site or domain function. This will limit the search to results from a certain domain. This field is excellent when required to use information from government (.gov.uk) and educational (.ac.uk) sites. In this case, we are going to search using .gov.uk. The final field I am going to use is the “file type”; this limits the search to a particular type of document. By limiting this field to “Adobe Acrobat PDF”, I should only get PDFs in my results, which is the most common format for published documents. Now when I click the advanced search button I will see a big difference in the results found. As it is usually best to search for up to date research for assignments, I can customise the date range to search for information published within the past five years, to do this I will enter 2011 in the from box and then select Go. My results now range from information published on the internet from the 1st of January 2011 up to the present date. This video will inform you how to locate statistical resources via the Library website. From the statistics web page, there are several links to freely available statistical resources. These include . . . The CIA World Factbook which provides information on the history, people, government, economy, geography, communications, transport, military, and transnational issues for 267 countries. Eurostat, which is the statistical office of the European Union and provides information on general and regional themes; economy and finance, population and social conditions, industry, trade, agriculture, transport, environment and science across the EU. The Office for national statistics which provides UK data on all aspects of Agriculture and the Environment, Business and Energy, Children education and skills, crime and justice, economy, government, health and social care, the labour market, people and places, population and travel and transport. And several other resources are linked to on this page including The Organisation for Economic Co-operation and Development’s statistics site, UK social trends and regional trends, and the UK data service. Each of these statistical resources are quite simple to use and generally have the option to search by country, . . . Or by theme Or by keyword . . . In addition to the resources listed on the Library’s Statistical Information page, you may also be able to locate some statistical content via the Library’s subscribed subject databases…. These are available by clicking on the ‘Databases A-Z’ link from the Library home page.